I don’t know about you, but a fresh salad on a hot day is one of my favorite things to eat. If you love salads too, this post is for you! 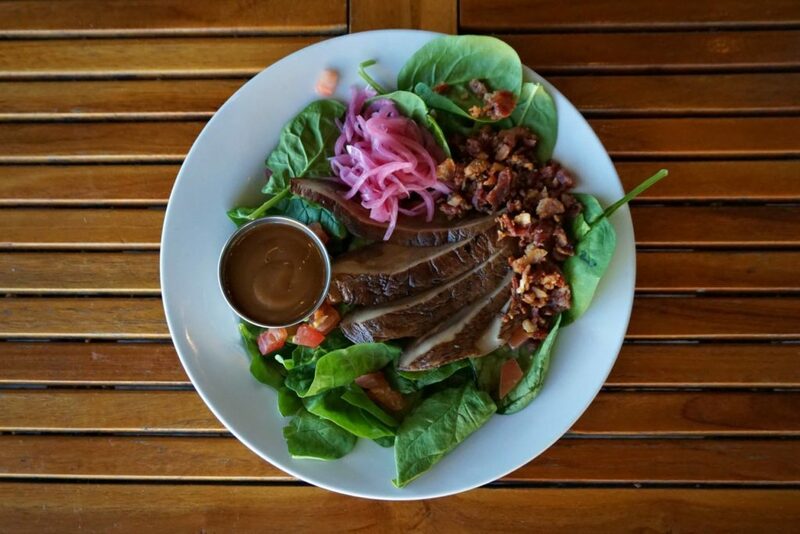 Here are several places to get an awesome salad from Pensacola to Santa Rosa Beach. 綾 What to Get: How could there even be a post about salads without mentioning Everkrisp? It’s quite possibly the restaurant with the most salad options around! There are countless salad options, but I always order the Berry Fields Salad, swap the raw onion for roasted onion and get tempeh as the protein! It’s my favorite salad in the entire world and if you love a good salad, you HAVE to try Everkrisp!  Where: Locations in Destin, Fort Walton Beach, Panama City, and Grand Boulevard. 綾 What to Get: You may think of other menu items when you think of the Craft Bar, but did you know they have an awesome salad selection? They offer six different salad options, including a Cobb Salad, Mediterranean Salad, and even a Portabello Salad. The Blackened Flank Steak Salad also looks awesome as it’s topped with grilled zucchini, tomato, avocado, goat cheese, fried onions, and finished with a tomatillo vinaigrette. 綾 What to Get: Ali’s Bistro is a fantastic place to get a good pizza or pasta dish, but their salads are equally as enjoyable! You can get chicken, shrimp, or salmon added to any of them, including the Caesar, Greek, Caprese, and Spinach salads. I highly recommend the Ali’s Bistro salad as it has sautéed mushrooms, tomatoes, and feta with balsamic vinaigrette. It usually comes with chicken, which I like to swap for shrimp! 綾 What to Get: If you find yourself in Pensacola, Jaco’s is a must-visit restaurant. Located right on the water, their menu features so many creative flavors. As for the salads, they have many options, but the Crab Cake Salad is amazing. The salad is topped with delicious crab cakes, corn, black beans, cucumbers, tomatoes, roasted red peppers, thai chili dressing, and mango salsa! 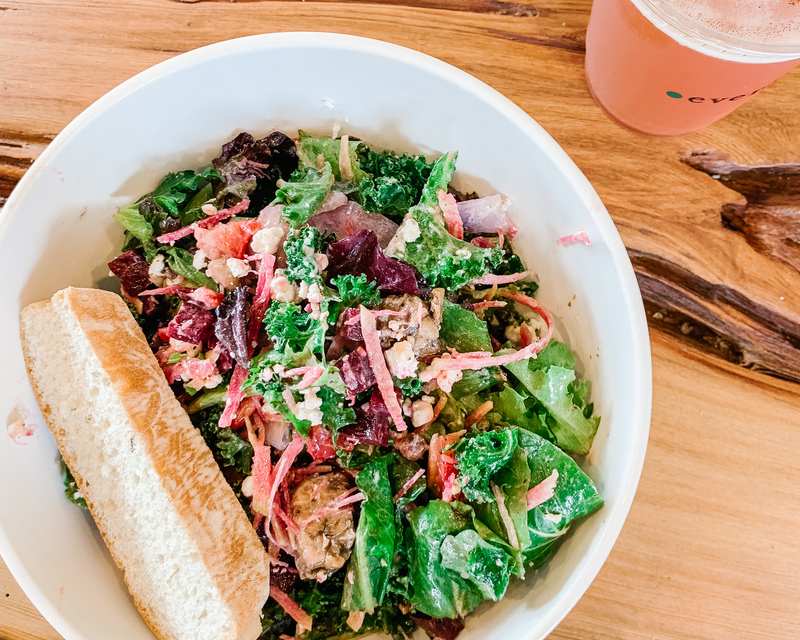 綾 What to Get: Chanticleer Eatery is located in Grayton Beach and has a menu full of delicious food like Jambalaya, Shrimp & Grits and more, but their salads are loaded too! 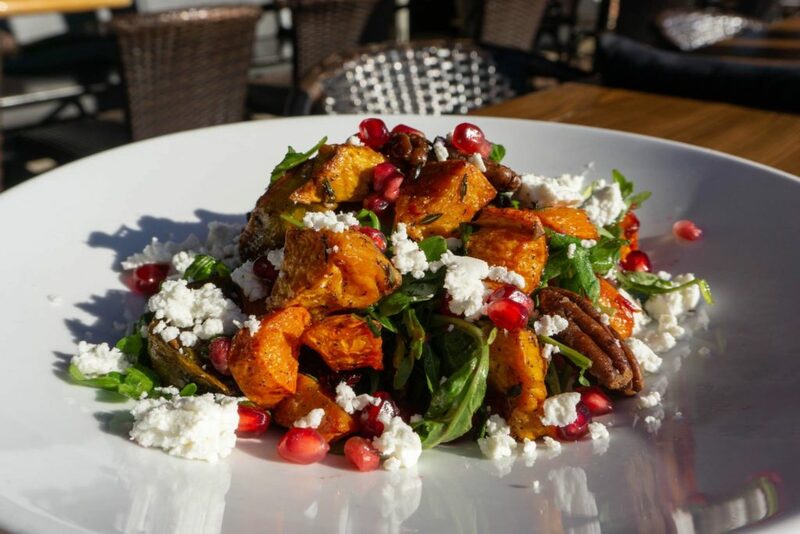 They have four options, but the Roasted Garden Patch Salad is topped with tons of roasted veggies and goat cheese, a perfect combination in my book. They have a lovely patio to sit on when the weather is nice too! 綾 What to Get: Burrito Del Sol is the place to go if a taco salad is what you want! With the different protein options and toppings, you have a great selection of flavor combinations for your taco salad. 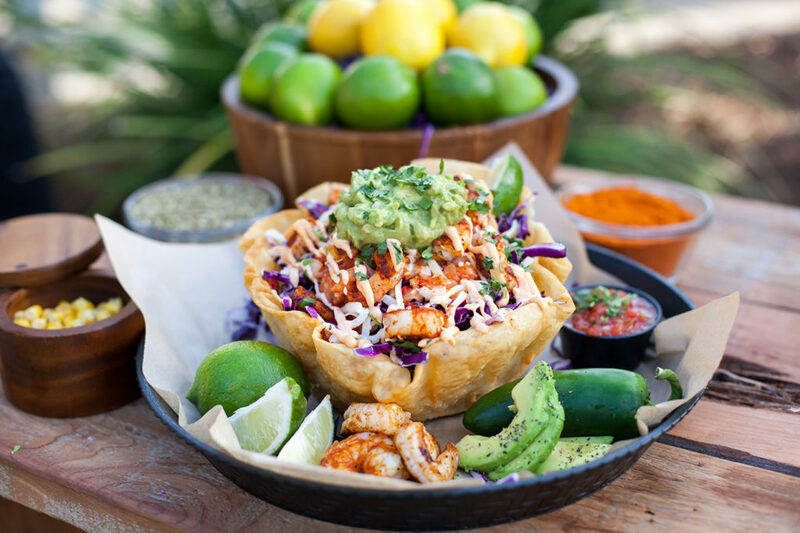 I love everything with their Baja style, so I would order the taco salad, Baja style with tempeh or shrimp! There you go! Those are our picks for places to get a bangin’ salad. While these are all delicious options, I’m sure there are many other places to get an awesome salad that we didn’t mention! Where do you love to get a salad?